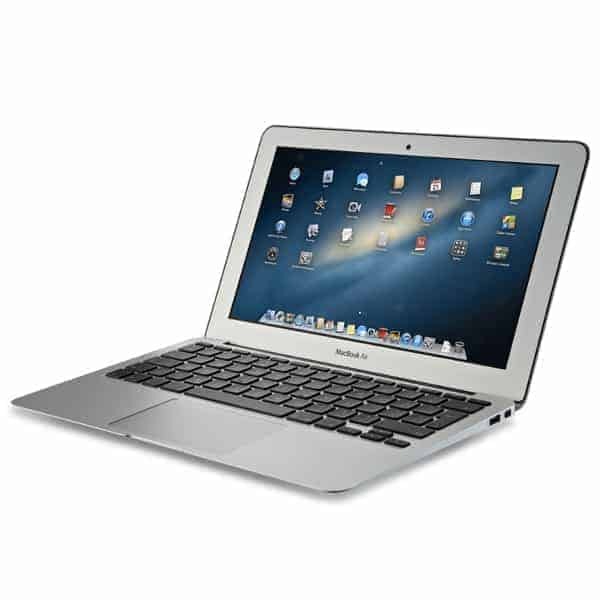 Our MacBook Air LCD replacement covers replacing cracked or damaged LCD panels for all 11” MacBook Air laptops. See below for more information. Turnaround time: Our turnaround for this repair is 24 hours once we receive the laptop. Our standard free shipping service takes 2-3 days to get the computer back to you, so you should have your MacBook Air back 3-4 days after we receive it. Shipping options: We cover return shipping via USPS priority mail which is a 2-3 day service. You have a couple options for getting your computer to us. You can choose to pay for the shipping to get it to us and use any method you like, or you can choose to have us send you a laptop shipping box that includes a fedex ground shipping label to get the computer to us for $25. Guarantee: We have a 90 day warranty on our service. This warranty covers defects in the new LCD, but does not cover user damage. Things to watch out for: When something hits the computer very hard, sometimes the backlight gets damaged as well as the LCD. Normally we can just replace the LCD and the backlight issues are purely cosmetic. As you can see in the picture below, a damaged backlight usually causes white spots on the LCD. Normally this white spot is only where the impact point is. So if the computer got hit from the back or front hard enough to damage the backlight, we can either replace the entire screen assembly, or just replace the LCD and ignore the cosmetic white spot.